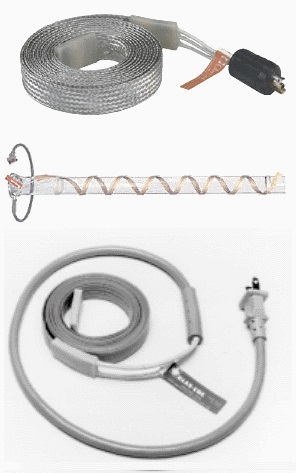 Glas-Col Heating Tapes and Cords provide a new level of safety and convenience for high temperature laboratory heating applications. The Glas-Col Heating Tapes have improved heat transfer, are available in four widths, and are useable in high moisture areas, with a temperature limit of 249 °C. Ribbon-type heating elements running lengthwise in the tape are encased in glass braid and are impregnated and covered with tough silicone rubber. The silicone rubber insulates stranded terminal leads at one end and waterproofs fittings at both ends. Power line is fixed. The Glas-Col Grounded Heating Tapes have a tin-copper overbraid applied for grounding. 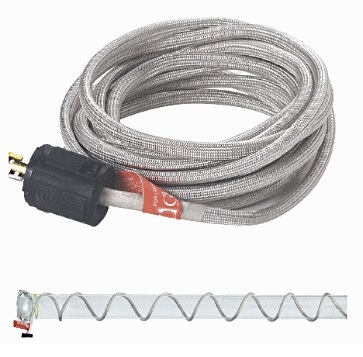 Power line is 4’ detachable with locking connector. Power ratings are for tapes not covered by insulation when installed. If covered, temperature should be monitored and controlled to avoid exceeding 249 °C limit. Short, narrow tapes rated at less than 115 volts must be operated at reduced voltages. 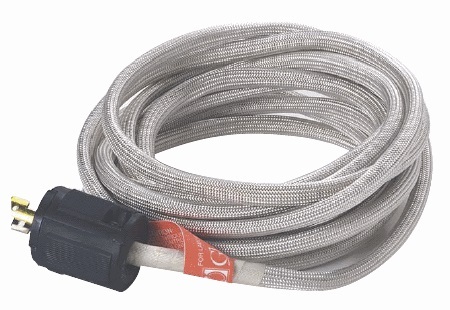 Glas-Col Heating Cords are suitable for wrapping tubes down to 12.7 mm (1/2 inch) in diameter. The standard glass fabric covered CalCord is designed for temperatures up to 400 °C, while the quartz fabric covered Glas-Col Super CalCord can be used to 600 °C. 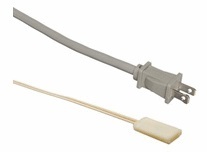 Glas-Col Heating Cords are for use in dry or low moisture applications, and on non-metallic surfaces that can tolerate the insulation’s high temperature capabilities. Their small 6.4 mm (1/4 inch) diameter allows them to be wrapped and unwrapped without damage. 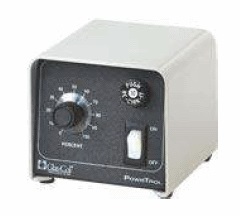 The PowrTrol voltage controller is a compact solid state proportional voltage power control that provides precise manual control of heating mantles, tapes, cords and other resistive loads. The output range is adjustable from 5 % – 100% of rated voltage. It comes in a low profile compact cabinet and includes a lighted power switch, circuit breaker protection, mounting bracket and 3-wire 6’ line cord with molded plug.